A Shramana asked the Buddha, what causes and conditions can I know my past lives and understand the ultimate Way? " 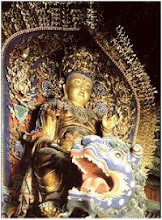 The Buddha said, purifying your mind and preserving your resolve, you can understand the ultimate Way. Just as when you polish a mirror, the dust vanishes and brightness remains, so too, if you cut off desire and do not seek, you then can know past lives. " A Shramana asked, what causes and conditions can I know my past lives and understand the ultimate Way? 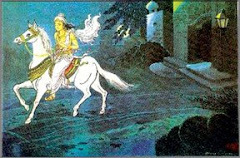 "What causes and conditions, or what Dharma-doors, should I cultivate in order to obtain knowledge of past lives? How can I understand true principles? " 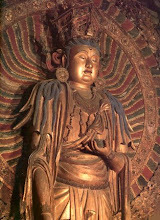 The Buddha said, purifying your mind and preserving your resolve, you can understand the ultimate Way. 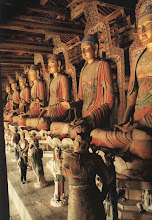 "The Buddha said, you should make your thoughts pure and guard your resolve. Firmly keep your resolve. Whatever vows you have made, you should uphold them. You can make vows and then forget them after only a few days. You can withdraw them after a short while. That not permissible. That not preserving your resolve. If you can purify your thoughts, if you can get rid of the darkness in your mind, the false thoughts, greed, hatred, and stupidity and if you can preserve your resolve, you will come naturally to understand the true Way, the highest Way." What is it like? Now I will give you an analogy. Just as when you polish a mirror, the dust vanishes and bright-ness remains. It just like cleaning a mirror: when the dust is gone, the brightness of the mirror appears. This brightness refers to the penetration of past lives. So too, if you cut off desire and do not seek, you then can know past lives. If you can cut off your thoughts of desire and reach the level of not seeking for anything, then you can attain the penetration of knowing past lives. When people cultivate the Way, they certainly should not indulge in any scattered thinking or false thoughts. If you can do away with false and scattered thoughts, then no matter what Dharma-door you cultivate, you will quickly succeed with it. If you have false and scattered thoughts, as well as greed, hatred, and stupidity filling up your belly, then you certainly aren’t going to obtain a response, no matter what Dharma-door you cultivate. 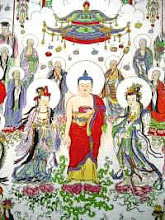 When we study and cultivate the Buddhadharma, we should first cut off desire and cast out love. You should sever thoughts of desire and reach the level of seeking nothing. If you seek for anything, just that seeking is suffering. No matter what you seek, if you cannot obtain it, you will experience the suffering of not getting what you want. Everyone should pay attention to this. When we cultivate, what is it that we cultivate? We cultivate to get rid of false thoughts and thoughts of desire. That is real-skill. If you cleanse yourself of jealousy, obstructions, greed, hatred, and stupidity, then you can obtain the penetration of knowing past lives. 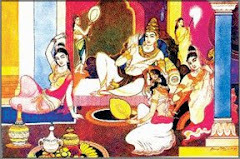 A Shramana asked the Buddha, what is goodness? What is the foremost greatness? 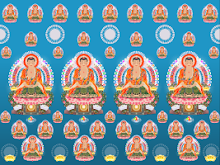 "The Buddha said, o practice the Way and uphold the truth is goodness. To unite your will with the Way is greatness." The fourteenth section explains that there is no greater good than genuine cultivation. “Greatness " is realizing and certifying to genuine principles. This is the foremost greatness. 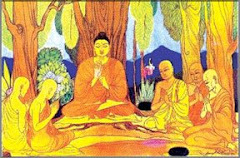 A Shramana asked the Buddha, What is goodness? What is the best thing? What should be done? What is the foremost greatness? What is the most awesome, the most important, the most essential phenomenon? " 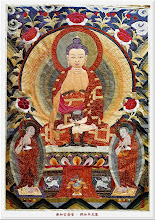 The Buddha said, practice the Way and uphold the truth is goodness. 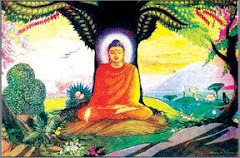 If you can cultivate the genuine Buddhadharma, that the best thing to do. Don’t follow cult practices and religions that lead outside the mind. 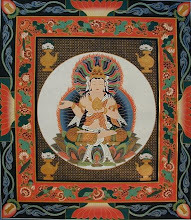 What is the genuine Buddhadharma? It is not being selfish; it is being open and public-spirited; it is letting go of your views that discriminate between self and others. We shouldn’t have an ego. We should not be selfish or seek for self-benefit. 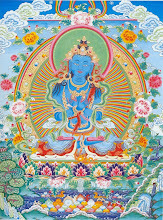 In every move we make we should cultivate the Bodhisattva Way and benefit living beings. However much we understand, we should teach others to understand that much. When we obtain benefit, we should let others obtain that benefit. To be unselfish and seek no personal advantages is the greatest goodness. 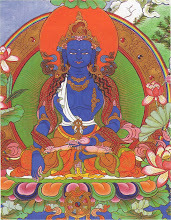 To practice the Way and uphold the truth means to uphold true principles and not to uphold empty and unreal dharmas. In cultivating, we must understand true principles. If we don understand true principles, then we are not upholding the truth. Upholding the truth is the best thing. 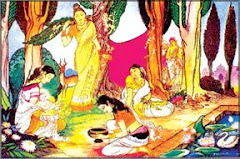 A Shramana asked the Buddha, hat is the greatest strength? What is the utmost brilliance? " The Buddha said, patience under insult is the greatest strength, because people who are patient do not harbor hatred, and they gradually grow more peaceful and strong. Patient people, since they are not evil, will surely gain the respect of others. 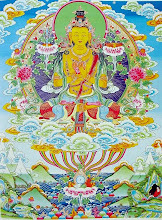 Then the mind defilements are gone completely, so that it is pure and untainted, that is the utmost brilliance. When there is nothing, from before the formation of the heavens and the earth until now, in any of the ten directions that you do not see, know, or hear; when you have attained omniscience, that may be called brilliance." 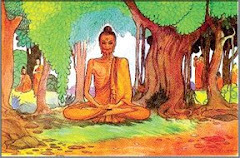 A Shramana asked the Buddha, what is the greatest strength?" He asked, hat is the strongest of all things? What is the utmost brilliance?" What is the brightest and wisest thing? The Buddha said in reply to the question, patience under insult is the greatest strength. "If you can be patient under insult, then your strength is great. If you aren’t patient under insult, then you have no strength. The strength of patience under insult is infinite. Why is it so great? Because people who are patient do not harbor hatred; because the strength of goodness contains no evil. It is totally good, and therefore it is inexhaustible. It is said that, he soft can overcome the hard; that which yields can defeat that which is obstinate. "Some thing soft can overcome something hard, and victory goes to what yields over what is obstinate. I have often asked you, why do teeth fall out?" The answer is because teeth are hard. Why doesn’t the tongue fall out? Because the tongue is soft. Even if you live to be several hundred years old, you will meet only people whose teeth have fallen out; you’ll never run into somebody whose tongue has fallen off. The tongue is yielding and can endure; this is the greatest strength. And they gradually grow more peaceful and strong. What is more, the patient person becomes calm, healthy, and robust. Patient people, since they are not evil, will surely gain the respect of others. If you can be patient under insult, you won do evil. If you are incapable of doing evil, you surely will obtain people respect. 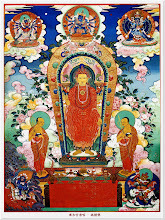 When the mind defilements are gone completely, when you extinguish the selfishness, profit-seeking, greed, hatred, stupidity, and related defiled and desirous thoughts from your mind, so that it is pure and untainted, then you become pure to the point that your mind doesn’t have any faults, filth, or defilements. There only a pure mind, and that is the utmost brilliance. If you can get rid of the darkness in your mind, that is the greatest brilliance; it is the supreme wisdom. When there is nothing, from before the formation of the heavens and the earth until now, in any of the ten directions that you do not see, know, or hear; when you have attained omniscience, that may be called brilliance. 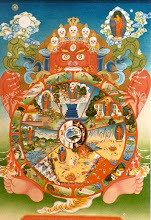 From beginningless time onwards, throughout the ten directions, there is nothing that is not seen and nothing that is not known. From eons without beginning to the present, you know everything that has happened, and there is nothing you haven heard of. How can you be this way? Because you have obtained all-wisdom, and only this counts as genuine understanding, genuine comprehension, and genuine wisdom. 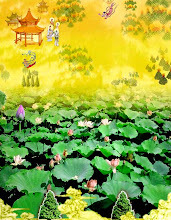 The Buddha said, people who cherish love and desire do not see the Way. Just as when you stir clear water with your hand, those who stand beside it cannot see their reflections, so, too, people who are entangled in love and desire have turbidity in their minds, and therefore they cannot see the Way. You Shramanas should cast aside love and desire. When the stains of love and desire disappear, you will be able to see the Way. This sixteenth section explains the minds of ordinary people. The “water of the mind " is fundamentally pure and clear. But if you stir the water up, it no longer clear. What is the settled clarity? It is the Way. That which is not clear and pure is love and desire. Desire obstructs us so that we are not able to understand our mind and see our nature. Desire keeps us from seeing the Way, and therefore from realizing the fruition of the Way. One who realizes the first fruition is at the position of the Way of Seeing, which also means seeing the Way. The Buddha said, people who cherish love and desire do not see the Way. To explain this Dharma to Westerners is difficult, because no matter what Westerners talk about, it always concerns love and desire. This is especially true of followers of certain religions who say, God loves me, and I love God. They love God, just as men and women love one another. In fact, some nuns even say that they marry God. They simply have no understanding of the Way. What people harbor in their minds is love and desire. Everything they do involves love and desire. If you cultivate the Way, but do not understand it, then on the one hand you cultivate, but on the other hand you lose your cultivation. You’re advised not to hold onto any love and desire, but your love and desire keep on increasing! It is just as when you stir clear water with your hand. When love and desire overtake you, you don't see the Way. What's it like? It like stirring up clear water with your hand so that it becomes murky. The clear water becomes murky because it contains sand and silt; if it didn’t contain sand and silt, then even if you stirred it up, it wouldn’t get murky. What is this sand and silt? It love and desire. When you bring forth your love and desire, it's like stirring up the silt in the water with your hand, so that those who stand beside it cannot see their reflections. The water won reflect their images. Why? Because you’re stirred it up. Why don you see the Way? It is because love and desire have made you so murky. So, too, people who are entangled in love and desire have turbidity in their minds. From morning to night, people think about such unclean things as love and desire. They become entangled, so that no matter what they think about, it really only variations on that one theme. The water of wisdom becomes turbid in their minds; their wisdom disappears, and therefore they can not see the Way. You cultivate day in and day out, but you don realize the fruition, and you don see the Way. Why? Because you have thoughts of love and desire. If you didn’t have thoughts of love and desire, you would be able to see the Way quickly. 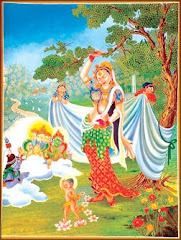 So the Buddha said, you Shramanas should cast aside love and desire. 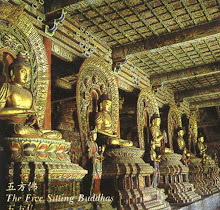 "Shramanas" includes all of us Bhikshus and Bhikshunis of the present age. We should all give up love and desire. This does not mean that men should say, hate women. When I see a woman, I get angry and send her away. "That not the way we should handle desire. How should it be? We should see as if not seeing, and hear as if we hadn’t heard. There no reason to despise them. We simply don let our minds become swayed by them. To cast aside love and desire means to give them away. It just like giving money to people; once you’re given it, you don’t have it anymore. To whom should you give your love and desire? Give it back to your father and mother. When the stains of love and desire disappear the impure, turbid filth of love and desire are gone then you will be able to see the Way. This cultivation can lead you to see the Way and to realize the fruition of the Way. End of Section 13 to 16.